The suspect is thought to be either white, or of North African descent. Photo courtesy of the SPVM. 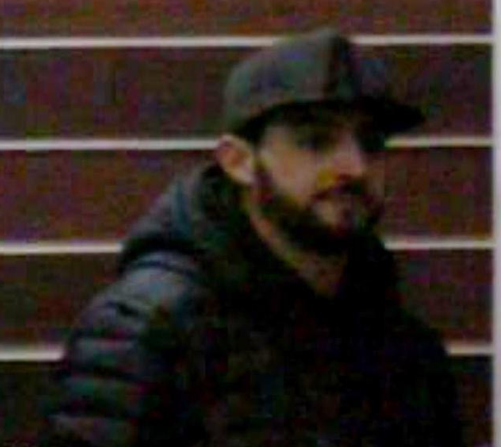 An ongoing investigation into a series of laptop thefts at Concordia is heating up as police have asked for help from the public in identifying the culprit. Most on-campus thefts of personal items at Concordia happen in lobbies, restaurants and libraries, according to Concordia media representative Chris Mota. The investigation began when the string of thefts started in October 2015, according to Societe de Police de la Ville Montreal media representative Abdullah Enmar. Police are searching for a white man aged between 25 to 30 years old, possibly of North African descent. He has a beard and moustache, and was sporting a baseball cap during the robbery. These alleged victims told police their bags were stolen with laptops still inside. Some had left their bags unguarded, while others claim they were close to the items when they were robbed. Laptop theft isn’t a new problem for the university. Concordia student Arnaud Ortiz had his laptop stolen from his bag in winter of 2014 in Concordia’s Library Building Cafe, while he was eating dinner around 9 p.m.
Ortiz added that he was with three friends, and that it happened so discreetly that they didn’t notice. Further, Ortiz said Concordia security “weren’t very helpful” in the investigation that followed. He said this because they would not let Ortiz view the footage of the robbery, although it is illegal to share surveillance footage with anyone because it’s a breach of privacy. Despite being unable to comment on the ongoing investigation, Mota said that in situations of theft in public institutions, prevention is key. When asked how Concordia would deal with this theft problem, Mota continued to stress the importance of prevention, without additional information on how the university would act on the situation at hand. Mota, Enmar and Ortiz all advised students to keep their laptops and bags within sight.